• In blister pack, convenient for travel. • Ensure the freshness of each capsule. • 1 capsule per day. Appeton Essentials Antioxidant is a dietary supplement essential for adults and elderly to delay aging, eliminate free radical and promotes healthy skin. Antioxidants are substances that may protect cells from the damage cause by unstable molecules known as free radicals. Free radicals are harmful biological waste chemicals generated by the body during metabolism and formation lead to exposure to various environment factors, including tobacco smoke and radiation. Free radical damage may lead to cancer. Antioxidants interacts with and stabilize free radicals by donate electrons to the highly reactive unstable free radicals making free radicals chemically stable again. 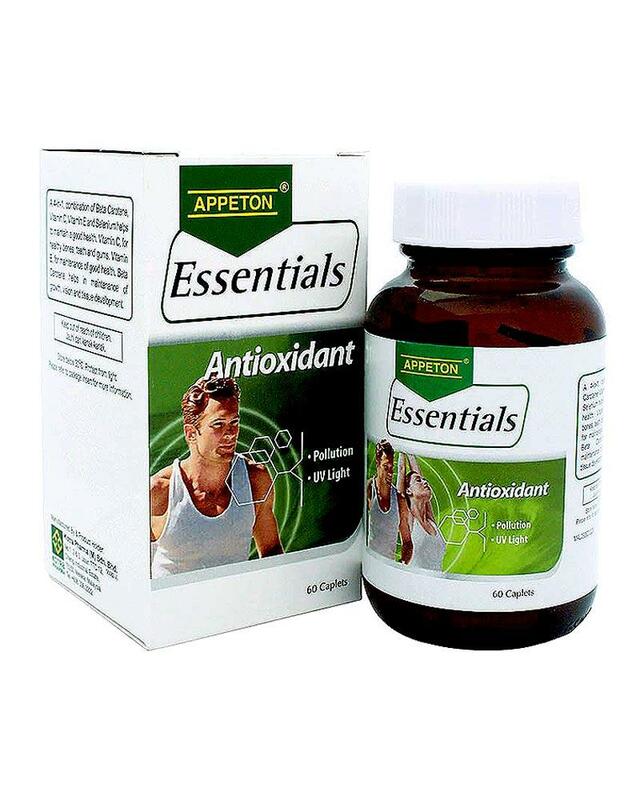 Appeton Essentials Antioxidant is a combination of vitamin A, beta-carotene, vitamin C and selenium. Beta-carotene is a natural form of Vitamin E. Few studies found that with the combination of natural form of Beta-carotene and selenium or vitamin A significantly reduced incidence of certain cancer 5-8. • 30 capsule per box.